Padstow, North Cornwall. Sleeping 8. FOUR STAR - GOLD AWARD WINNER BY VISIT ENGLAND FOR EXCEPTIONAL QUALITY OF ACCOMMODATION. With spectacular panoramic, uninterrupted views over the Camel Estuary towards Rock, Porthilly, the Iron Bridge and beyond, Little Egret is a beautifully refurbished property boasting extensive gardens with a terraced patio area enabling the stunning views and wonderful scenery to be enjoyed in comfort. There is a very spacious, enclosed rear lawned garden with a timber decked patio and lighting. Little Egret is situated in a tranquil and truly enviable position and is within a five minute level walk from the harbour, restaurants and varied shopping facilities that Padstow has to offer. The Camel Trail runs alongside the estuary and is located just below Porthilly View. The trail is ideal for a gentle stroll and is also an excellent cycle path. The surrounding area has been designated as an area of outstanding natural beauty with beautiful sandy beaches within very easy reach. For golfing enthusiasts, the championship golf course of Trevose is approximately four miles away. The interior at Little Egret is light and spacious with impressive oak and tiled flooring throughout. Sky with Sky Sports package, Wi-Fi and iPod docking station plus flat screen televisions in all of the bedrooms makes Little Egret an ideal family holiday home - whatever the weather! Hallway with cupboard to side. Living / Dining Area - Spacious open plan area with stunning views towards Rock, Porthilly, the Iron Bridge and beyond. Lounge furniture comprising of 2 three seater sofas, 2 armchairs, bean bag and footstool/seat. Large flat screen TV with Sky and Sky Sports package, DVD player, Wi-Fi and iPod docking station. Kitchen - Tastefully designed base and wall units with integral fridge, freezer and dishwasher, Neff double eye level oven & grill, microwave, gas hob with 5 rings including wok ring and extractor canopy over. 1 1/2 bowl sink unit, washing machine and tumble dryer. French Doors lead to an enclosed rear garden complete with a timber decked area, garden furniture, BBQ, spacious lawn and a hot and cold outside shower. Contemporary Shower Room with WC, wash hand basin, ladder rack towel rail and corner power shower. Contemporary Family Bathroom with WC, wash hand basin, ladder rack towel rail and bath with glazed shower screen and shower over. Bedroom 1 - King-size bedroom with wardrobe, chest of drawers, bedside cabinets, chair, hair dryer, wall mounted flat screen TV, DVD player and views to rear lawned garden. French doors lead to the decked patio and large lawned garden to the rear. En- suite Shower Room with WC, wash hand basin, ladder rack towel rail and corner power shower. Bedroom 2 - King-size bedroom with wardrobe, chest of drawers, chair, bedside cabinets, hair dryer, wall mounted flat screen TV, DVD player and delightful views over the estuary towards Rock. Bedroom 3 - Twin Room - 3ft beds - with wardrobe, chest of drawers, chair, wall mounted flat screen TV, hair dryer and bed side cabinet. Bedroom 4 - Bunk Room - 3ft beds - with wardrobe and shelves, flat screen TV, hair dryer and views over the estuary and countryside. At the front is a lawned garden and terraced patio area with glazed screens and patio furniture to enable the spectacular estuary views to be enjoyed. There is a rear enclosed garden complete with a timber decked area, garden furniture, BBQ, spacious lawn and a hot and cold outside shower. The Garage is available for storing of bicycles and wetsuits etc. Fun garden games supplied including badminton, boules, garden dominoes, bats and balls. There is parking for two cars to the front of the property with extra road side parking if required. Bed linen and towels included. Please bring your own beach towels. Little Egret operates a no smoking policy. Changeover day is Saturday but there is flexibility out of season for week and special breaks. Little Egret has a sloping drive up to the front of the house. Four steps lead to the terraced patio and front door which has a raised threshold. There are bi-fold doors from the Lounge, opening out onto the front terraced patio and from the Dining area double doors access the Kitchen. From the Kitchen patio doors open out onto the decking over a raised threshold and from the decking there are two steps leading up to the rear garden. From the Shower room door leads out to rear decking over raised threshold. From the Master Bedroom, patio doors lead out onto the rear decking over a raised threshold. Outside there is gated access from the front around to the rear garden. Top marks for this property. 10 out of 10 in all aspects including Cleanliness and booking service provided by CRW Holidays. we shall re-book this property again. 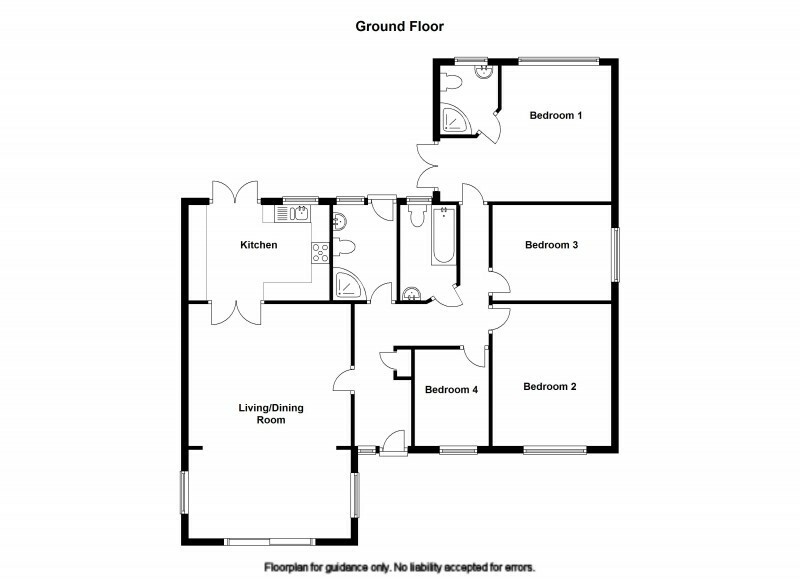 The property meets the description on the website and in the brochure. All round excellent. We have stayed at Little Egret before and shall be re-booking again for 2019. 10/10 in aspects of booking and accommodation. We have been re-booking little Egret since 2015 and shall be rebooking next year. Excellent property and booking service from CRW holidays. The overall booking Service and property provided by CRW Holidays was excellent. The property description on the website matches the high standard of this accommodation. Excellent outside space, nicely decorated and very clean. Excellent property and booking service. Already booked for next year ! We have enjoyed a wonderful stay in the Little Egret, Padstow. The property was everything as described and more with lovely views across the estuary to Rock. Photographs were a true representation of the property that had everything required for a superb holiday. CRW were a professional team giving an excellent service and exceded expectations in resolving a small issue immediately. We would thoroughly recommend them and their 5* accommodation and hope to return with them again. Many thanks to both the owner and CRW for an excellent stress free stay.